Alerion's new owner portal is designed to provide owners with a clearer view of the schedules for their managed aircraft, as well as insight on all the related expenses (Photo: Alerion). In 2006, when Bob Seidel, now CEO of Alerion, was new to the aircraft management world, he sat down with the owner of a Boston-area sports team. 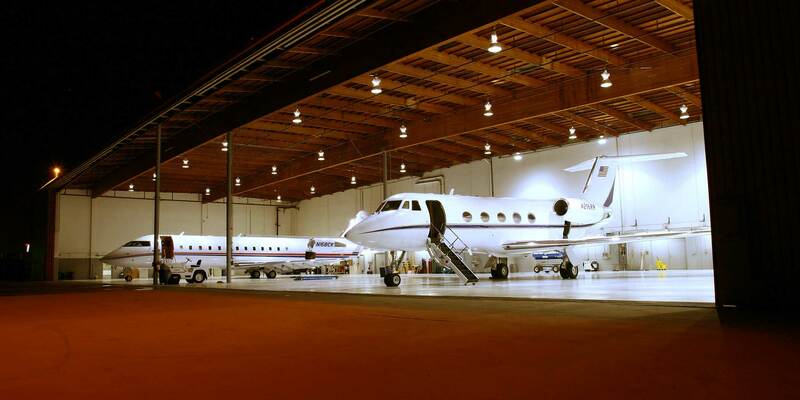 His then firm, Jet Aviation, managed an aircraft for the owner. The owner “was rather animated about a situation,” Seidel said, recalling him pulling out a rudimentary paper calendar he had printed out. That, he said, “was the beginning of my search for the holy grail.” In the more than 12 years since, he joined JFI Jets as CEO and then merged it with ACP Jets in 2015 to form Alerion. Now, Seidel is rolling out an online owner portal that can provide insight for owners, not only on tracking, but on nearly every aspect of managing the airplane. Simply tying that together to provide owners with access to such a system proved to be a complicated task. “None of the makers of the software really created a side view that could be given to the owners,” he said, adding quotes to develop such a system ran well over a half-million dollars. Then he jumped to JFI Jets and other priorities took root. “But almost three years ago, I really…got the bug again. I said, 'we need to do this. '” Seidel began developing the portal in-house with a “very talented” person who worked hand-in-hand with management and its enterprise software firm. The portal, which launched in beta version in December, is designed to provide access to an array of real-time information, including schedules, expenses, maintenance updates, and passenger lists. It enables owners to look both backward and forward to have a more comprehensive overview of operations and trends. In addition, the portal will enable multiple owners to coordinate schedules with aircraft itineraries. The data is accessible anywhere on a computer, tablet, or smartphone, according to the company. Alerion, working with customers who have been testing it, hopes to incorporate any resulting changes and roll it out to all of its customers by early spring. For instance, he said, a customer’s assistant might call up and say the boss wants to go to Columbus on Thursday the 12th. But the assistant may not specify or be clear on which month; or even which "Columbus." The portal will confirm that the planned trip is exactly what the customer requested. Seidel said he once ran into a similar situation. His firm took an urgent “pop up” trip from New York to Minneapolis and then, just before the flight took off, received a request to change the destination to "Grand Rapids" and generate a new quote. The new quote was lower, because of course Grand Rapids, Michigan, is closer to New York than Minneapolis, Minnesota. The quote puzzled the travelers. Then it became apparent after the flight had departed that the travelers wanted to go to Grand Rapids, Minnesota. So the pilots altered the flight plan and refiled for the correct destination. “That just goes to show you how important it is to have everything in writing and acknowledged,” Seidel said. One of the advantages of the portal, he added, is it enables an owner or any person designated by the owner—whether a spouse or assistant—to look at the schedule and confirm the plans. It also gives owners an overview of the future plans for the aircraft and the crew and perhaps alter their travel schedules when they have flexibility. “They can look and see, oh, the crew is down this week for training,” he said. Without that information, the customer may have asked for the aircraft during training. “If we're told that a customer wants to use the airplane, we would cancel the training skills session.” Then the crew would need rescheduled training, which could launch a domino effect on scheduling issues. “But if the customer had known and could wait one day, the customer could have easily made that change,” he said. “So just the simple matter of sharing a calendar that shows the maintenance schedule, the training schedule, the airplane status, the owner's schedule and the charter schedule…can save so much in the way of miscommunication, errors, unhappiness, and dissatisfaction.” And it can be done at all hours since it is online. “We're trying to show how we're trying to pack all the sausage into the casing,” Seidel said. Another major benefit is transactional. The portal gives clients access to interactive reports based on the time period of their own choice. “They can see every single purchase of fuel. Since they're responsible for paying for the fuel, they would like to know how much they paid for the fuel, how much fuel is this airplane burning, and how are prices affecting cost of operation.” The portal provides access to multiple charts to provide clear views of such transactions. All monthly statements are posted on the portal, with expense reports that track “every single expense down to a pack of gum.” Trips are mapped, including multiple legs, hotels where crews stayed, rental car costs, and potential cost savings, he added. Further, any mistakes can be easily identified and rectified, providing confidence for the owners. In addition, insurance premiums are listed on the portal, as well as passenger manifests. The passenger manifest was particularly welcomed by clients as they attempt to track each flight for tax purposes. As word of the portal initiative has become better known, Seidel said, he has begun to receive inquiries from competitors and software companies. “This has been a holy grail for them too,” he said.